This new series comprises seven sessions on Shakespeare's shortest tragedy. 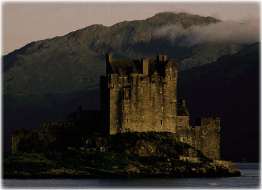 Macbeth shows what happens when a man with a conscience commits murder. It is an astute portrait of psychological unraveling, and students in this course will study in great detail not just the characters' psychology, but the mature Shakespeare's remarkable imagery and verse. This course opens up Shakespeare's intricate language and reveals its spare beauty, and by the end of the series, students will be able to read Shakespeare's more difficult plays on their own. The whole experience is designed to bolster their confidence with a wide range of difficult texts. Space is limited; registration reserves your student's place. Who should attend: This is a high school-level course, and students should already have some familiarity with Shakespeare. Our own College-Bound Intensive on Romeo & Juliet is ideal preparation for this course, and we strongly recommend taking our Hamlet series as well; the instructor frequently refers to Hamlet to put into perspective what Shakespeare is up to in Macbeth. 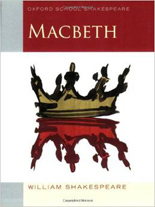 Required text: Students must purchase separately the edition of the play used throughout these sessions: Macbeth: Oxford School Shakespeare. This edition has been selected for its suitability for teens and the accessibility of its explanatory notes. Recorded sessions. Sessions will be recorded and available to all registered students. Online classes with live instruction. Live lessons that engage students through lecture, close examination of text, audio, video, graphics, and interactive discussion. Secure access. Upon registration, the student will receive an email providing secure access to the classes. Roughly two weeks before the class start date, your student will be contacted with course guidelines and other essential information. Access to recorded sessions. If students cannot attend one of the live sessions, they may view the lecture at a time convenient for them. Materials. Downloadable materials that can be printed and used throughout the series. Testing. A final test will be available for the parent to administer in order to generate a grade. Grade & course credit. The student's parent may give the student a 0.5 credit of high school coursework and generate a grade for his or her transcript. These classes make use of questions (open ended, leading, and probing in turn), carefully selected references, alternate viewpoints that students are helped to evaluate, judicious parsing of the play, and lovingly selected background materials. Roy's phenomenal communication skills, his clear speaking voice, his enthusiasm, his love of the material, and his ability to make things fun are icing on the cake. This experience has helped further mature my sons' thinking skills. Roy Speed is very knowledgeable of Shakespeare, and his appreciation for Shakespeare is contagious. When sharing the lines he finds meaningful, beautiful, or humorous, he invites his students to experience Shakespeare in a deeper way. He encourages active participation, first, by modeling thoughtful discussion of the characters, the plot, and Shakespeare's style, and then he expects insightful and thoughtful answers to the questions he poses to his students. In high school I took an in-depth study of Shakespeare's "Hamlet" with Roy Speed. His teaching style is interesting, engaging, and humorous, and I always looked forward to class. I especially enjoyed learning how to pull apart a text and analyze it, as well as mastering Shakespeare's vocabulary and learning historical facts about the time period. As an engineering student in college, I continue to read difficult texts for pleasure and am able to write well, whether it's a research paper or a technical writing piece. These skills are due to the analytical methods Mr. Speed taught me. Roy Speed has taught several classes to my homeschooled children over the years, and we all have been very pleased. He is not only witty and engaging, but passionate about what he teaches. His classes have truly ignited in our students a deep interest in delving into difficult texts, to not only look at writing in the traditional fashion of simply consuming information as a functional process, but to learn to annotate a text, dig much deeper into a piece of writing, and become an active participant in the reading. Mr. Speed really takes his classes to another level that isn't often seen and draws everyone in. It's wonderful to have a teacher who understands and appreciates what he's talking about, and is also excited to share what he knows with us. I was surprised to see how complex and deep a simple scene or even a single line can be. I had no idea that so many of Shakespeare's most famous quotes are not from Hamlet but from Macbeth. I loved to read Shakespeare's wonderful verse and prose, and to read Caroline Spurgeon and the First Folio. I also loved the discussions in the chat, they were lively and friendly; I got something out of conversation with the other students. On top of all that, I loved the energy and knowledge shared by Mr. Speed. I learned that there is more than meets the eye with Shakespeare. He has hidden plots and schemes that you only notice later and when you reread. I learned that I should slow down in reading if I want to find some depth in a work (especially of Shakespeare's). The instructors for our College-Bound Intensives are all subject-matter experts with a passion for their fields. They're selected for their ability to instill in their students real love and intellectual excitement for the subjects they teach. A chasm separates middle school from high school or college-level work. Faced with advanced texts in science, history, and literature, students can no longer read passively; they must be active readers, digging into the content for nuance and understanding. In the process, students expand their vocabulary, strengthen their facility with complex ideas, and deepen their understanding of what makes great writing great. Few homeschooling parents feel equipped to teach the works of great authors — like Shakespeare — but may feel nonetheless that such works should figure prominently in their own curriculum. Plenty of courses now target the student's performance on tests required for acceptance at college; fewer courses seem to target the student's performance in college — i.e., by providing knowledge and skills critical to a successful college career.